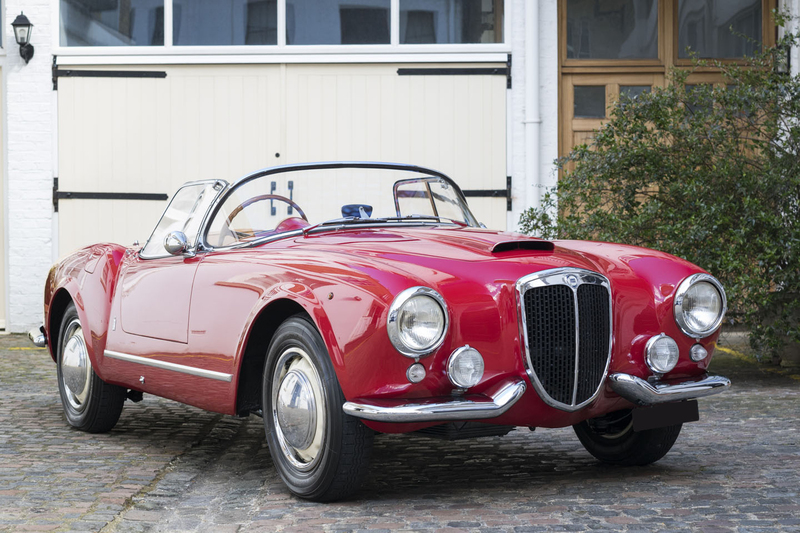 Lancia’s first post-war car, the revolutionary Aurelia, appeared in 1950. 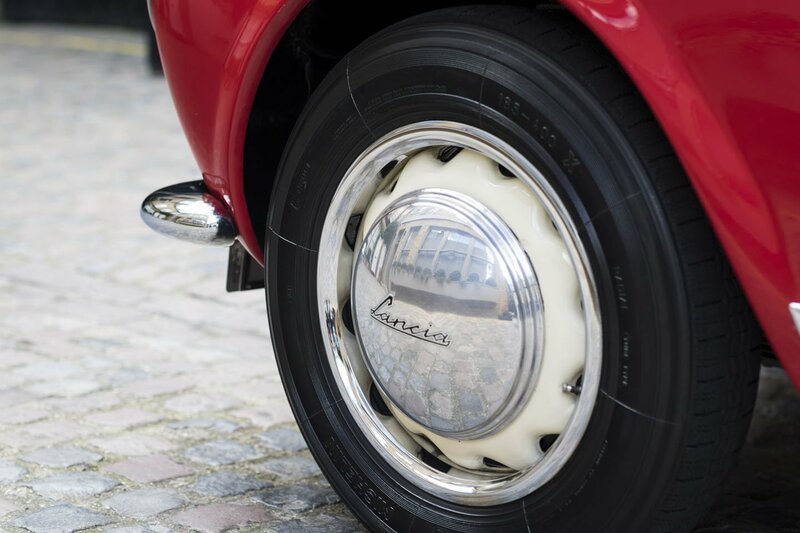 Its combination of the first production V-6 engine with a balanced transaxle gearbox and inboard rear brakes were revelations in post-war Europe. 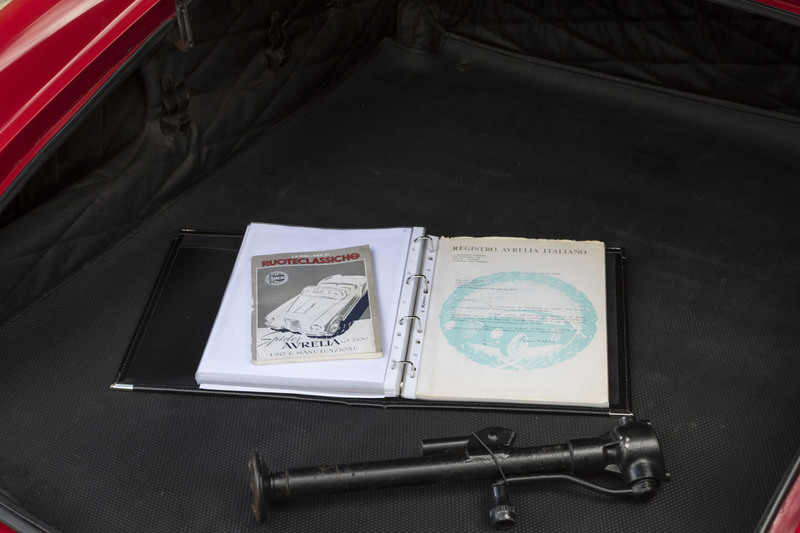 The initial B10 saloon was quickly followed by a coupe, the B20, which was built on a shortened platform. 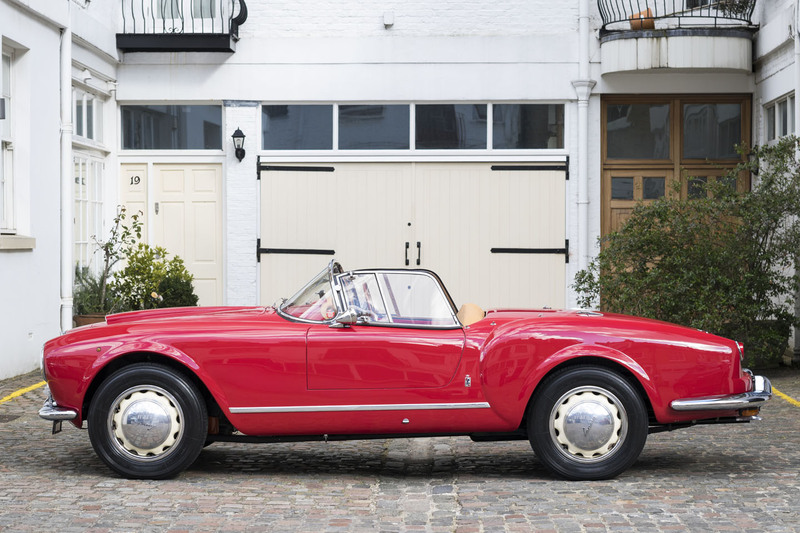 Although the Aurelia was built with a semi-unitary body, a platform for coachbuilders (the B50) was also offered, on which Pininfarina built a four-seat cabriolet. 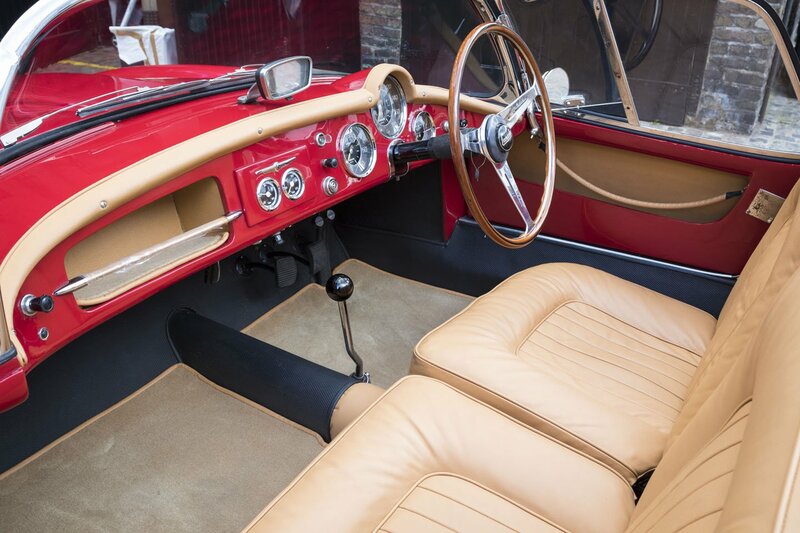 However, it was felt that a proper open two-seater sport model was required, especially for the U.S. market. The answer was the B24 Spider “America”, which was launched in 1954. 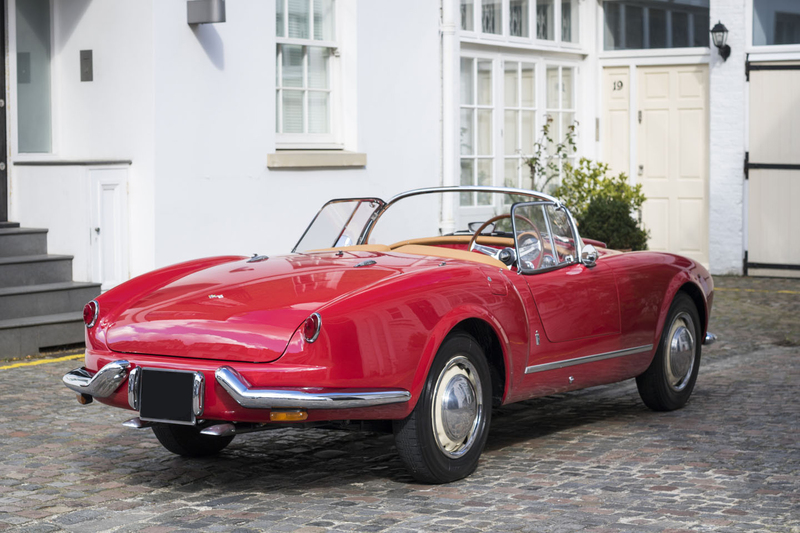 Pininfarina’s shapely roadster was built on a wheelbase that had been shortened a further 210 millimeters from the coupé, and it featured a dogleg wraparound windshield and side curtains, with no external handles for doors or the boot to interrupt the almost liquid lines. 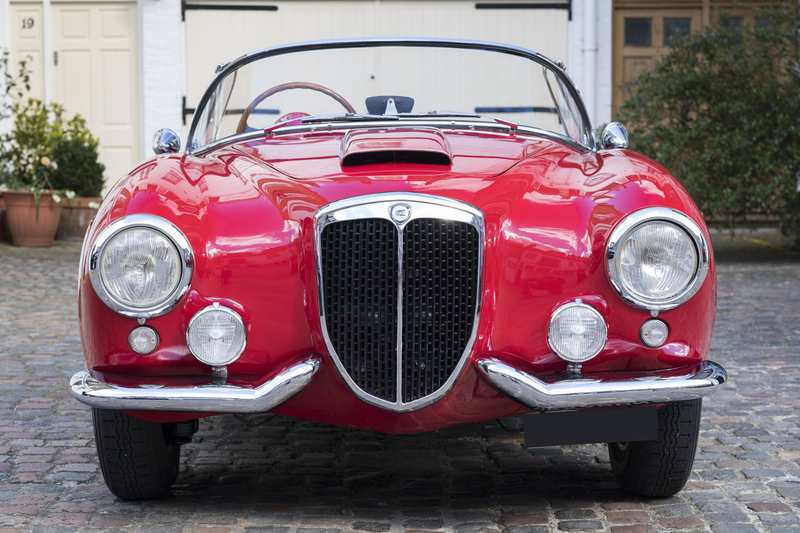 As Lancia had established itself in the early 1950s as a force in international competition, it is not surprising that hints of the marque’s D24 racing car could be seen in the look of the new sports car. 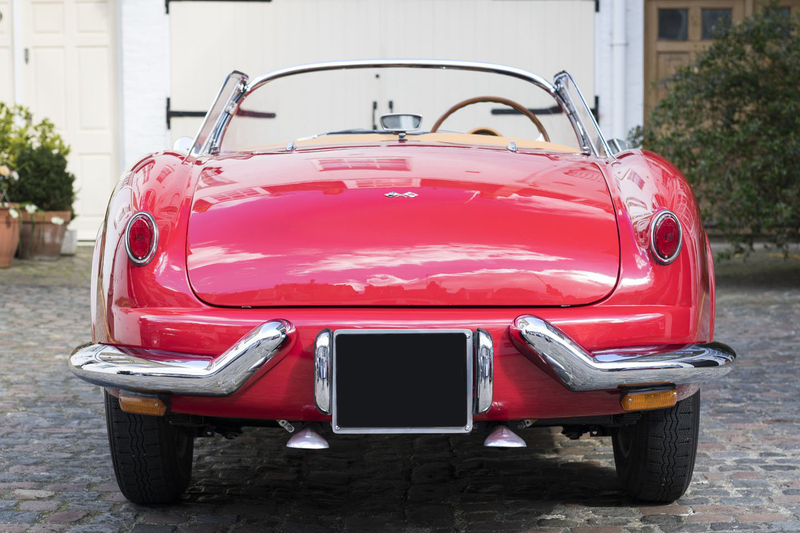 After only 240 of the Spider “America’s” were built, a heavily revised model, the B24 convertible, was introduced in 1956. 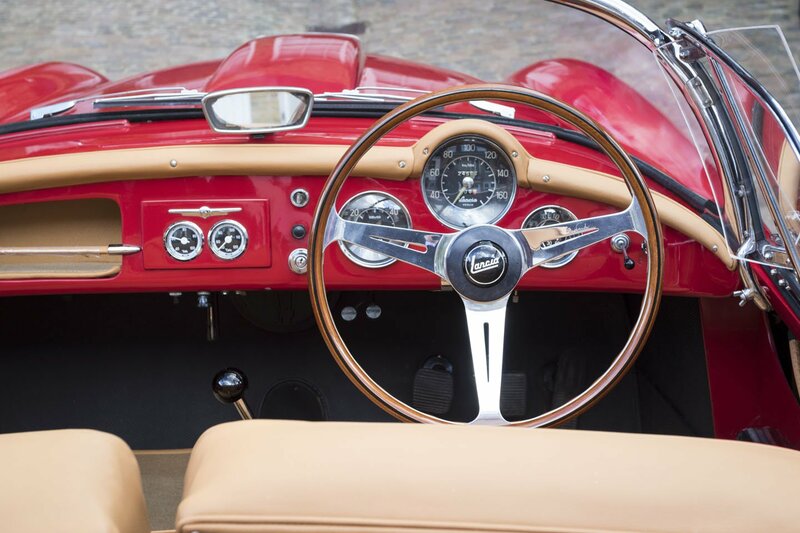 With an eye towards creature comforts rather than sportiness, the convertible added weight with roll-up windows, higher doors, more interior furnishings, and a more upright windshield. At once, the Spider “America” was destined to be set apart from the rest! 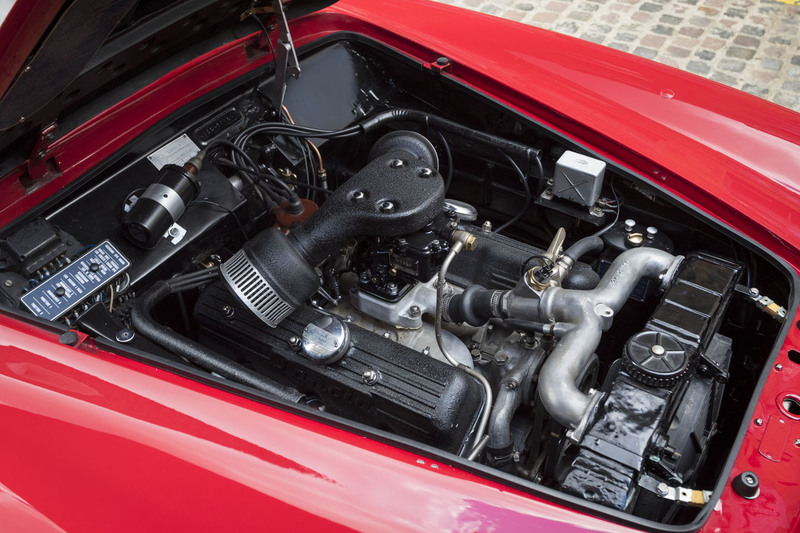 Of the 240 examples built, we understand that only 59 were built to Right Hand Drive specification. Our “Spider America” was the 4th chassis sequence motorcar produced. The 1st chassis was a prototype and has subsequently been destroyed. 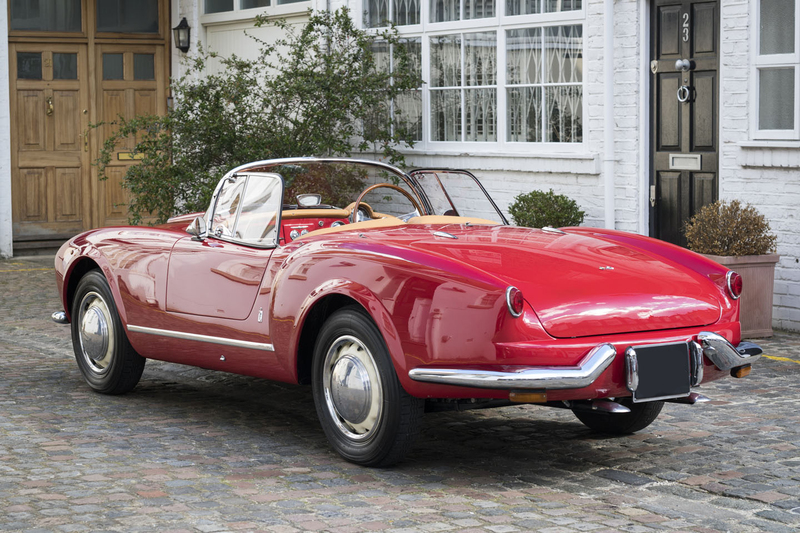 Chassis 1002 was the 1st completed and existing Left Hand Drive car and was exhibited at the Brussels Motor Show in 1954. 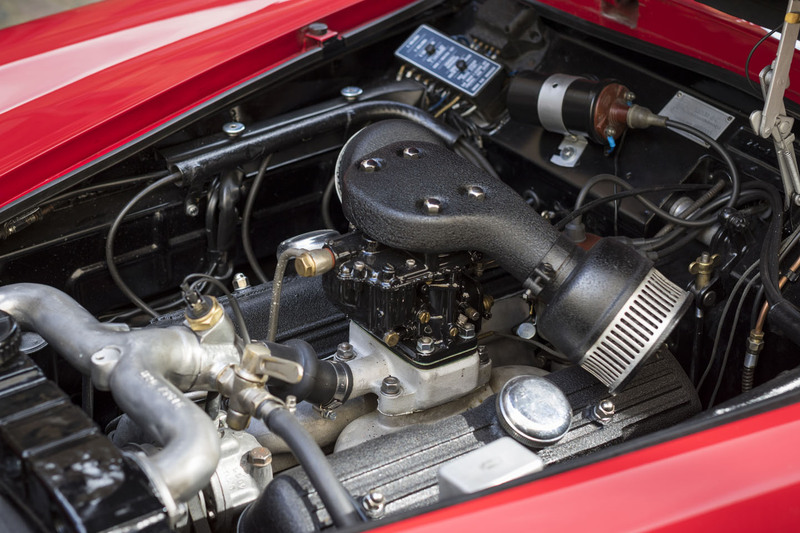 We also believe that our car was the 3rd right hand drive car manufactured and supplied new to Works Maserati / Ferrari Grand Prix driver Cesare Perdisa.